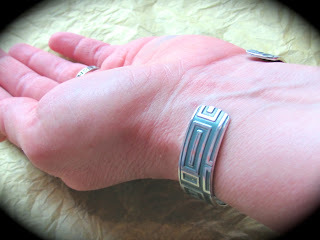 Sizing a cuff is quite simple. Measure the circumference of your wrist with a tape measure. Pinch the inner wrist joint. Measure this space. This is the space that you will need to leave open in your cuff. This area measures 1 inch on my wrist. 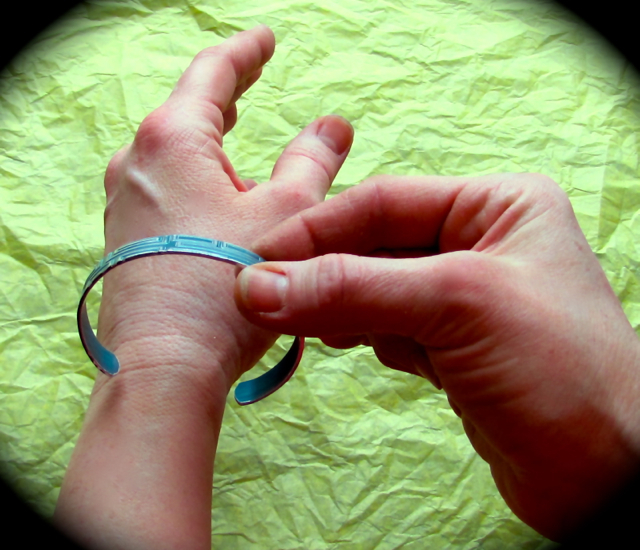 from the width of the inner joint of your wrist. This measurement will be your perfect cuff size. My perfect cuff size is 5-1/2 inch. We will begin offering a 5-1/2 inch cuff very soon. You'll notice new listings for 5-1/2" cuffs. We've taken the 8" cuffs off our site. It is very unlikely that the average man or women will wear an 8" cuff. 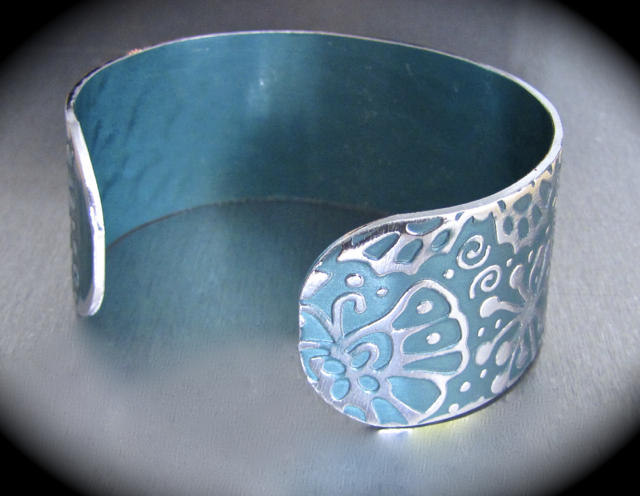 If for any reason you need an 8" cuff, we can set up a Reserve Listing for you.